The pharmacy technician will begin their day by getting the pharmacy ready for business. This includes turning on equipment such as computers, scales, printers and fax machines. They must also sterilize the counter tops, scales, pill counting trays, and other medication measuring devices. The main roll of the pharmacy technician is processing prescriptions. They greet the patient and accept their prescription. Next, they input the prescription date into the computer and process the patient‘s insurance. The pharmacy technician will then fill the prescription and prepare it to be sold to the patient. The pharmacy technician’s job description also includes many other duties such as administrative and bookkeeping tasks, inventory control, stocking shelves, and data entry. Pharmacy technicians are detail oriented. They work well in fast-paced conditions, and they have strong customer service skills. When the pharmacy technician receives a prescription, they must first make sure that it is valid. This task is not as simple as it sounds. Each prescription must be checked carefully. Certain information must be in the prescription in order for it to be legal. This includes the physician’s name, business address, and phone number. If the prescription is for a controlled substance, the physician’s medical license number must also be on the prescription. The prescription must also include the patient’s full name. The pharmacy technician may also need to collect other identifying information such as the patient’s address and phone number. This is to ensure that this patient can not be mistaken for another person with the same name. A valid prescription must also include clear dosage instructions. This will include the amount of medication to be dispensed, the amount of each dose, and how often it should be taken. If any information is missing from the prescription, the pharmacy technician will need to consult the pharmacists for direction. In many cases, the pharmacist can contact the prescribing physician for clarification. However, if the prescription is written for a controlled substance, then the patient will have to return the prescription to the doctor to have a correct one written. Once a valid prescription has been accepted, the next step is to present it to the patient’s insurance company for payment. The pharmacy technician will check the computer data bank to see if insurance information is on file. It is a good idea to have the patient confirm that the information is up-to-date before they leave. This will reduce frustration for the pharmacy technician and the patient. Thanks to technology, most insurance claims can be processed electronically. This makes it faster for the pharmacy technician to process the prescription. Sometimes things go wrong and the claim is denied. When this happens, the pharmacy technician gets to play the roll of detective. There are many things that can cause an insurance claim to be denied. The pharmacy technician can look for clerical mistakes which may have caused it. Another possibility is that the prescription is not up for refill yet. Sometime, the pharmacy technician will need to call the insurance company for assistance. In many cases, the pharmacy technician can get to the root of the problem and have the insurance claim approved. The process can sometimes be frustrating and time consuming. However, it is also very rewarding for the pharmacy technician to know that they helped the patient get the medication they need. The most important duty of the pharmacy technician is filling prescriptions. It is vital that the pharmacy technician take the time to make sure that the prescription is filled correctly. Dispensing the wrong medication can be a deadly mistake; therefore, attention to detail is very important. The first step is locating the correct medication. Many medications have similar names, so the pharmacy technician must be very careful to make sure that they have the correct medication. They must also make sure that they choose the strength requested by the physician. This information should be double-checked before dispensing the medication. Next, the pharmacy technician will dispense the correct amount of medication. This may involve using the digital scale to measure pills or powders. It may require counting pills be hand or measuring liquid. The exact amount prescribed must be dispensed, so pills are counted twice and other measurements are double-checked. To complete the prescription, the pharmacy technician will choose the correct size container, and place the label on the container. In most pharmacies, labels are computer generated. They contain all of the information that was on the original prescription. This includes the prescribing physician’s information, the patient’s information, the name of the medication, dosage instructions and any warnings that may apply. When the prescription is ready, the pharmacy technician will present it to the pharmacist for final review. By law, no prescription can be sold to the patient until the pharmacist has reviewed it for accuracy. This is a second line of protection to ensure the safety of the patient. Depending on the medication, the pharmacist may also need to check the patient’s file for the possibility of drug-interaction problems. The pharmacy technician has many duties other than filling prescriptions. They also perform monthly inventory counts, file paperwork, and stock inventory. When an order comes in, the manifest will be checked for accuracy, and then the medications must be stocked on the shelves. Every month, the entire inventory has to be checked for expired medications. Medications which are near expiring are shipped back to the pharmaceutical company. Supplies such as pill bottles, bags, and labels have to be ordered. Medications have to be ordered weekly. The shelves have to be organized and cleaned on a regular basis. Patient information must be carefully stored or disposed of. Due to privacy regulations, even the trash must be properly packaged and disposed of. The pharmacy technician is responsible for taking care of these duties as well. Due to their wide range of responsibilities, a pharmacy technician’s job description includes a long list of duties. Each day is filled with new challenges. Many pharmacy technicians enjoy the variety offered by their job. They end their days with a feeling of accomplishment, and the rewards of helping other people. A well-rounded set of skills is necessary for pharmacy technicians to effectively manage their job duties and help both the pharmacist and patients. While some skills are just inherent to an individual’s personality, many are gained by education and experience. Upon completion of a pharmacy technician program and after participating in on-the-job training, you should have cultivated basic skills to foster a bright future as a pharmacy technician. Great attention to detail is necessary while dispensing prescription medication. You must follow the pharmacist’s orders when measuring, mixing, dosing and dispensing the appropriate amounts. Processing prescriptions requires an utmost level of accuracy and even the slightest error could be detrimental to a patient’s health. It is vital that you pay attention to any allergies and drug intolerances when checking prescriptions. communicating effectively. Diplomacy and tact are important skills to acquire when working as a healthcare team member. The ability to comprehend verbal and written instructions means you need to be knowledgeable about medical and pharmaceutical terms. When working with customers and patients, it is important to be respectful. Depending on the setting, pharmacy technicians are often required to interact with people with a variety of backgrounds. Customers and patients will often have questions about their prescribed medications or may need help in finding a particular product within the pharmacy. Outstanding customer service is necessary as you interact one-on-one with patients and customers. The ability to connect with your patients personally is an important part of your job. 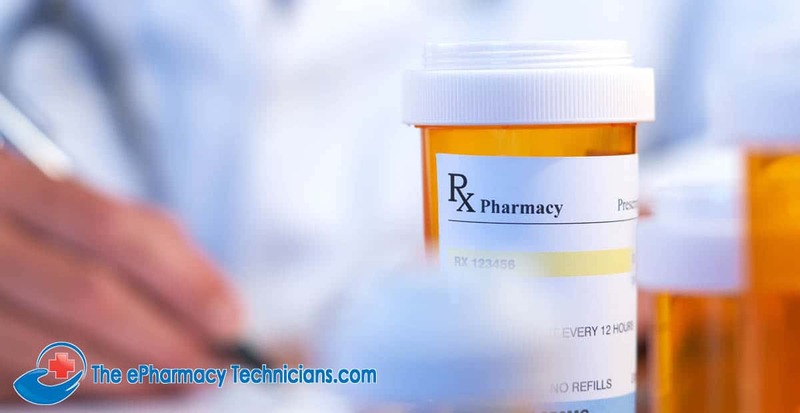 Employers often look to hire technicians who are able to be exceptionally personable when handling customer’s prescriptions and over the counter medications. To demonstrate excellent customer service skills you should refer to customers by name when addressing their problems or concerns. Staying positive and being polite regardless of how busy you are can make a customer’s day much better when they are picking up medication for themselves or a sick loved one. Things can get overwhelmingly busy for technicians and the ability to stay organized and work with great precision under pressure is important on a daily basis. Organizational skills are a must to keep a pharmacy operating efficiently and smoothly. An organized pharmacy helps ensure that medication orders are filled accurately and in a timely matter and dispensed to the right patients. Being organized can also help you recognize mistakes before a medication reaches the patient. Most pharmacy technicians will need at least a basic understanding of computer skills and the ability to learn the software and necessary programs that are being used at the job site. Computers are used as a system to contribute to safe and effective patient care within a pharmacy setting. Every employer in any industry looks for individuals with good time management skills. Especially when working in a busy pharmacy setting, it is important that you make optimal use of the time available to you on your job. Having good time management skills will prove of immense value when it comes to managing your workload while prioritizing what prescriptions need to be filled first and what other job tasks need to be taken care of. You cannot fill every single order at one time, but prioritizing helps to ensure that the most important orders are filled and ready to be available when patients need them. Scheduling and keeping a to-do list are great ways to avoid forgetting important tasks and helps to keep you focused on what needs to be accomplished each day. Enlisting support from co-workers to help accomplish goals is an important time management skill and is key to working as part of a healthcare team. While many people resist delegating, individuals with good time management skills know what tasks and when delegating those tasks are necessary to keep a pharmacy running smoothly and efficiently. It is common for technicians to be responsible for a pharmacy’s inventory. You are required to know the proper storage and handling of all medications and drug supplies within the pharmacy. In addition, the responsibility of returning expired medications and damaged pharmaceuticals lies with pharmacy technicians in many pharmacies. Advances in pharmaceutical research and an aging population will keep the demand high for pharmacy technicians. This means that a career in this field can be very rewarding and can serve as a gateway to an occupation as a pharmacist or other medical professional. Working as a pharmacy technician provides you a chance to be part of the healthcare industry and leads to a mass amount of professional opportunities. If you are ready for a fast-paced career and want to work where you can utilize skills to keep people healthy, there has never been a better time to take advantage of a career in the growing field of pharmacy technologists. With an increasing demand for prescription medications, the demand for pharmacy technicians will continue to increase, as well.